I remember my first bicycle and my first Barbie doll. I remember my first Asterix book and how I drew a wall poster out of its cover (and it looked perfect!). I remember the first 500 pieces puzzle I finished when I was just 8, and the first 200 pages book I read in just a week at the same age. I remember fighting with my parents as I was growing old, telling them that "soon I will be old enough to listen to no one". I remember my sweet sixteen, my first kiss and my first heartbreak. I remember thinking that I wasn't capable to love after it but then learning that no heart is ever broken and that love is a state of mind not heart. I remember the first day at university when I met a couple of people who became the closest to my heart, people I don't see often but learned that I can lean on while miles apart. I remember all those lessons on friendship and that true friends are not whom you have known longer nor supported most. True friends are not even those who support you most neither. True friends are those who work silently, like your guardian angels, to see you happy day after day. I remember that, as years passed by, I learned to look every single morning in the mirror searching for a first wrinkle and a first white hair (and I thank God I don't have any yet!). I grew up, not old. I learned. I matured. The little girl in me turned into a lady. I learned that the wrinkles are too scared to appear on my face. 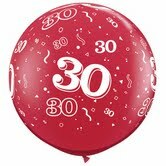 And that no matter what scary load the number holds for everyone, when I turn thirty, I will be the youngest among all the thirty-something people!